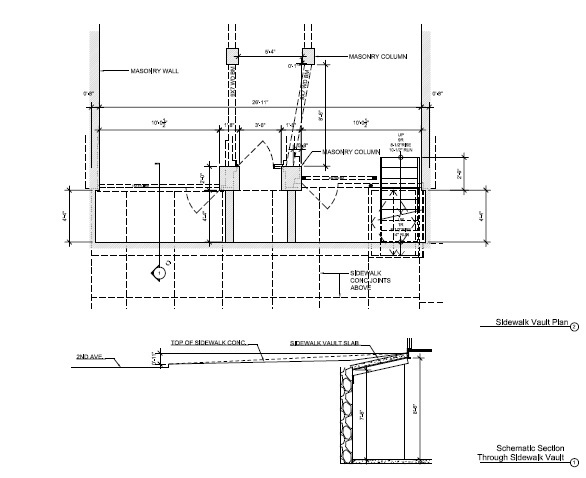 GKA Architects provided architectural field verification, measured drawings, engineering coordination, and authorities interface for foundation improvements to a mixed use apartment building located in the Upper East Side, Manhattan New York. 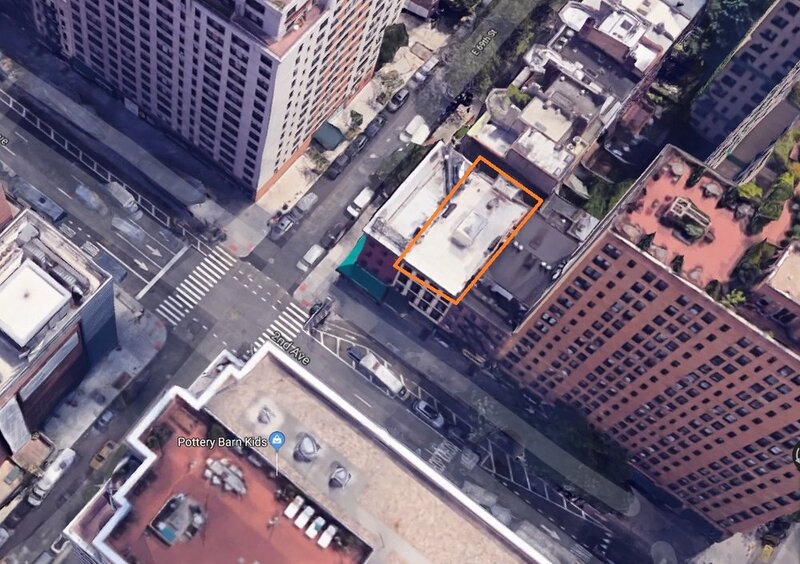 The client's mixed-use residential/retail property in the Upper East Side is located along the excavation route of the Second Avenue subway line in Manhattan. Since the building's foundation and its sidewalk vault are located just feet from the new subway tunnels, a structural retrofit was required that would protect the property from Tunnel Boring Machine ["TBM"] vibrations as well as the increased loads from construction equipment, while being as minimally inconvenient as possible to the property's ground floor storefront retail tenants.